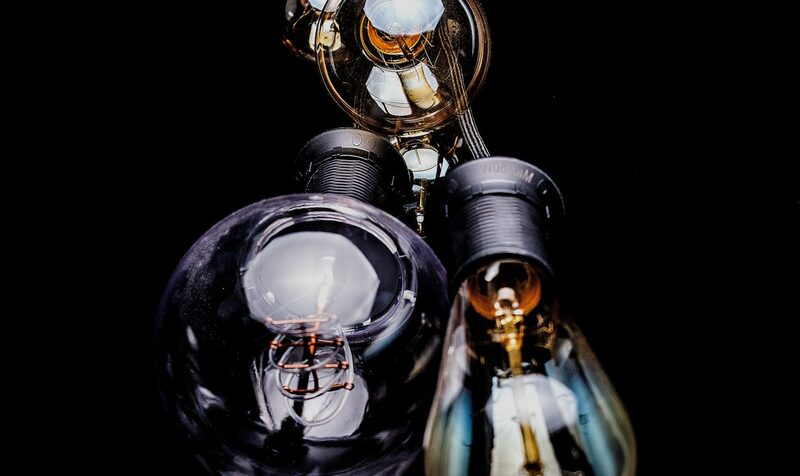 From 1st September halogen bulbs will be banned across the EU under EU regulations and only stocked items will be available for sale in the UK. Halogen lights use about 4 times the energy of an LED to achieve the same light levels and thus energy and carbon savings can be significant especially when looking at an entire building. When it comes to costs LEDs are also the smarter choice and will generate significant savings over their lifetime since they use less energy and generally outlast halogen fittings. However, energy use is only part of the criteria when choosing the right light fitting. Equally important are colour rendering, colour spectrum and flickering and how closely they can resemble natural day light. Here incandescent light sources like halogen still outperform CFLs and most LEDs with only very few and often expensive exemptions. These qualities are particularly important for the spaces we use in the evenings and before bedtime because our body clock and melatonin cycle is controlled largely by light and in particular the higher proportion of the red light spectrum of the evening light. Being exposed to red-ish light a couple of hours before bedtime helps to prepare our body and ensure a healthy night of sleep. Sleep is one – if not the most important human behaviour. On average 36 years of our life we spent entirely asleep. From the latest research we now know that lack of sleep can cause and promote obesiety, stress, mental illnesses, depression, dementia, diabetes and even cancer. During the NREM phases of sleep we consolidate memories promoting learning and creative problem solving. Only during sleep our body produces growth hormones also assisting with the regeneration of our bodies. The majority of LEDs (even ‘warm white’ ones!) still have a high proportion of green and blue light and rarely sufficient red to resemble natural evening lights. Most of us have become more sensitive to the issue when it comes to smart phones, laptops, tablets and TV. Together with a high percentage of flickering at 100Hz they only make for an unsatisfactory alternative for use in the more sensitive spaces of our homes. Before going to bed we will now have to walk into our bathrooms flooded in blue-ish LED light telling our bodies to wake up and get going rather than sending us off to a healthy night of sleep. Without a doubt, we will have to make use of every opportunity to reduce our energy demand and carbon emissions but at the same time we need to properly assess the alternatives.